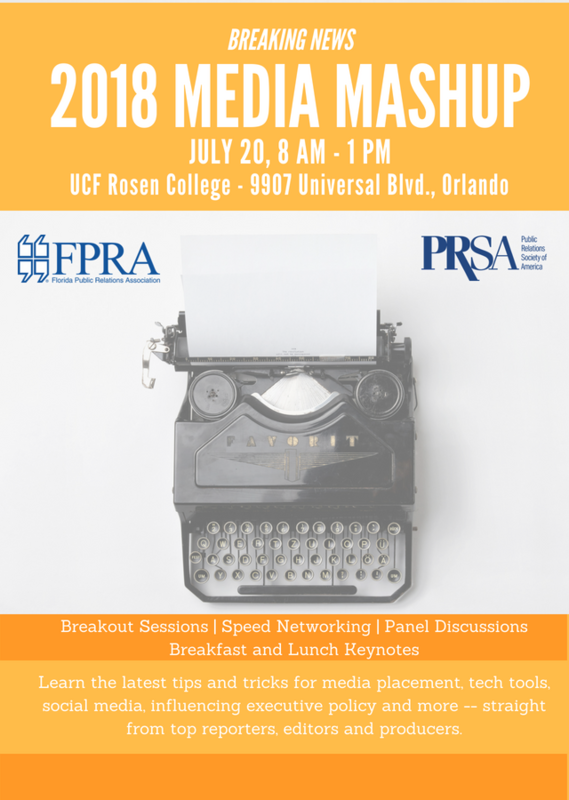 Learn the latest tips and tricks for media placement, tech tools, social media, influencing executive policy and more – straight from top reporters, editors and producers. Keynote speakers include Chip Wile, president for Daytona International Speedway, and Stephen Hegarty, PIO for the Tampa Police Department. Don’t wait to register! Early bird pricing ends July 15. The Center of the Storm: Daytona International Speedway President Chip Wile shares what it’s like to host multiple mega-events and media from around the world. Chip, a former public relations representative for NASCAR race teams who now serves as president of Daytona International Speedway, shares how the “World Center of Racing” is an international tourist destination hosting events beyond motorsports and accommodating large numbers of media each year. Connecting with several hundred thousand UCF fans is all in a day’s work for Eric DeSalvo, who heads digital and social media efforts for UCF’s athletics programs. Learn how he covered the frenzy surrounding student athlete selections at the 2018 NFL draft, and hear his top tips for going live, harnessing the power of user-generated content, and building engagement. Whether you are a veteran practitioner or just getting started to the PR field, you’ll enjoy this candid discussion with Roy Reid, APR, CPRC, who will talk about the journey to the C-suite. Reid, who serves as Executive Director of Communications for the massive Adventist Health System, will provide his insight on how to better understand management goals, help find business solutions, and bring a stronger public relations voice to your organization’s policymaking table. Session 2A: Are Your Press Pitches Working? Should you still send a press release to the desk? What makes a good pitch? How can you really get the attention of the local media? 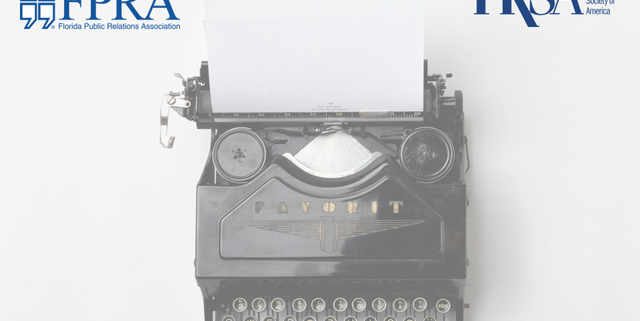 Join seasoned reporters, editors and producers from radio, television and print as they answer these questions and more in this panel discussion. Scheduled to attend: Allison Walker Torres with News 13, Jeff Weiner with the Orlando Sentinel, and Matthew Peddie with WMFE. How to get your brand mentioned on a journalist’s social media platform. Hunting a Killer: Steve Hegarty, public information officer for the Tampa Police Department, shares a riveting account of his agency’s hunt for a serial killer and the media storm that followed. When there was a gunman killing innocent Tampa residents and the city was on edge, Tampa PD stayed focused on the message to reassure residents and seek the public’s help in finding the killer. Best practices and lessons learned from the prolonged investigation will be valuable for PR practitioners dealing with local and national media and local communities during a high-profile incident.